We had a serious session on Saturday. Thanks to all who came out to play at the Halloween Massacre 2012. We have been destroyed since the party, which was a proper knees up, so whilst the features, galleries and footage are all pieced together today, here’s an update from the skate jam for those who could not make it or just pussied out because it was cold. There were too many amazing moments from the jam but four overall winners took some cash for their individual performances on the day. 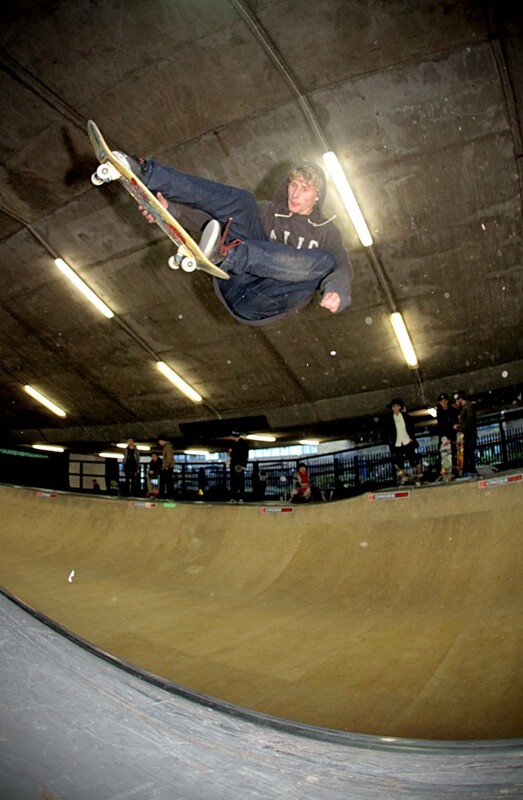 Firstly, Danish skater Dannie Carlsen (below photo by Ben Larthe) took the overall honours in the bowl jam with so many tricks including blunt flip fakies and so much more. This guy absolutely rips on a skateboard! Rob Smith took the vert wall jam with an array of tricks from heelblocks to blunt fakies. Alex DeCunha took the rail jam with talslide flip out and kickflip nosegrind (I think). Chav Dan took the longest grind with a fs 5050 that took both shallow end corners out. Ridiculous stuff. So many NBD’s went down due to the skatepark being so new. Thanks to all who dressed up. Hilarious outfits! Notably the Banana, Jesus, the Pirates, Zip Face (who won best fancy dress on the day). Big ups to all of the BaySixty6 staff for hosting us plus photographer Ben Larthe, Sirus and Al who were there taking the evidence on the day for your perusal soon. Huge thanks to all of the guest riders from Heroin, Lovenskate, Kill City, Creature, Witchcraft, Death and Stand Up and who braved the cold to entertain us with some incredible skateboarding all afternoon. The full feature is in motion but for now, hold tight the party destroyed us. It was insanely good fun! Thanks to all!